The 2019 Grammy Awards ceremony had its share of performances, wins and celebrations, but it also wasn't short of people making a statement. The entry of some pro-Trump artistes at the venue gave the event a political touch. Singers Joy Villa and Ricky Rebel paraded along the red carpet with their pro-Trump costumes, amply displaying for shutterbugs at the event. 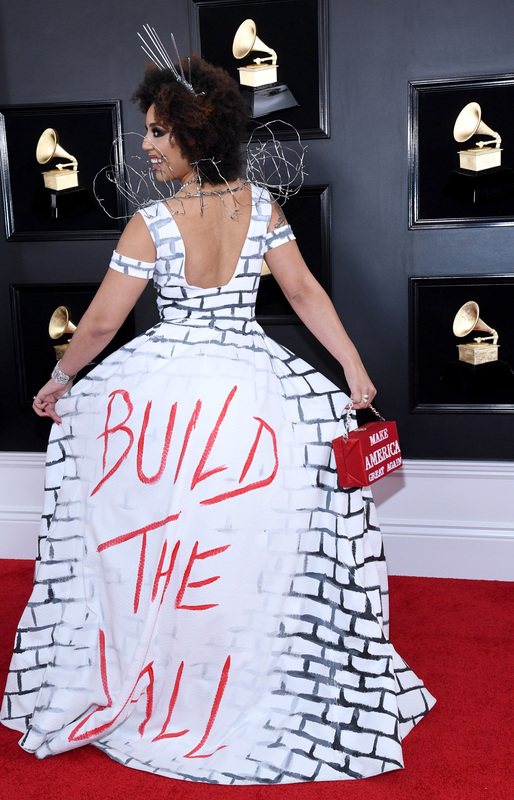 Villa was dressed up by Desi Designs Couture as the 'border wall', a reference to Trump's policies about building a wall along the US-Mexico border. 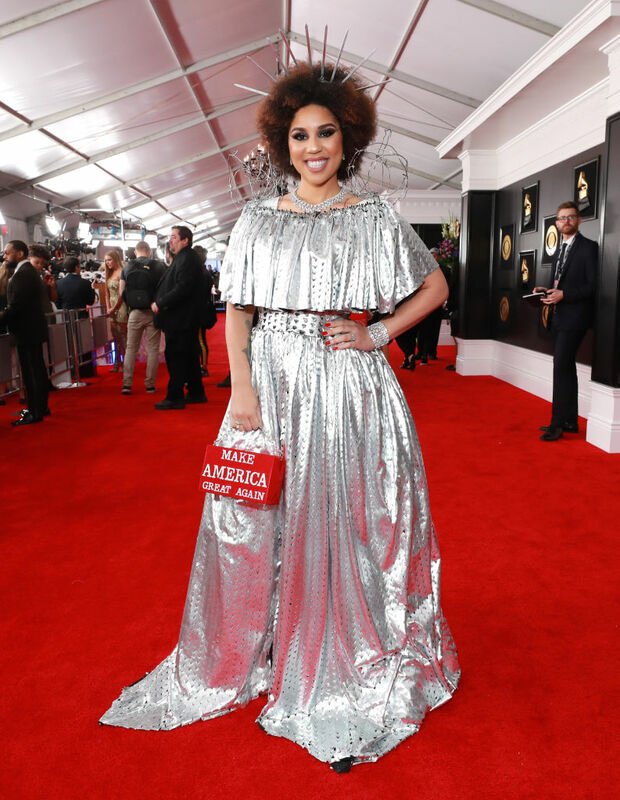 To add an extra dramatic effect, the singer also paired a 'MAKE AMERICA GREAT AGAIN' handbag with the outfit that she decked with a silver cape. The singer's outfit mainly consisted of a low-cut gown emblazoned with bricks and at the back were words that read, "BUILD THE WALL". The Trump supporter later told Variety, "This is what I believe in. I believe in the President, I just released an album called 'Home Sweet Home' and it's all about my love for America. barbed wire, I'm having fun with it." In another interview with The Hollywood Reporter, the 27-year-old singer said that she absolutely loves what the President is doing in office. "Unemployment is down," she said. "I am totally for President Trump, and it's only been one year. I can't wait for the next seven years!" And it was on her personal Instagram account that Villa revealed the true reason as to why she chose that particular outfit to wear to the prestigious music awards. "'Shut up!' They said. 'Stop talking politics!' They yelled. 'Sit down you don't matter!' They insisted. I don't listen to haters. I listen to truth," she wrote. "Building the wall will cut down crime, protect children from being trafficked and stop the 1 in 3 women from being sexually assaulted trying to get through illegally. It's a humanitarian crisis. I support life. I support protection. I SUPPORT THE WALK!" Villa's costume designers too put up a post on their social media handles, which was essentially a disclaimer stating that the company's views, thoughts, and opinions aren't necessarily the same as their clients, subtly hinting at Villa's choice of outfit. 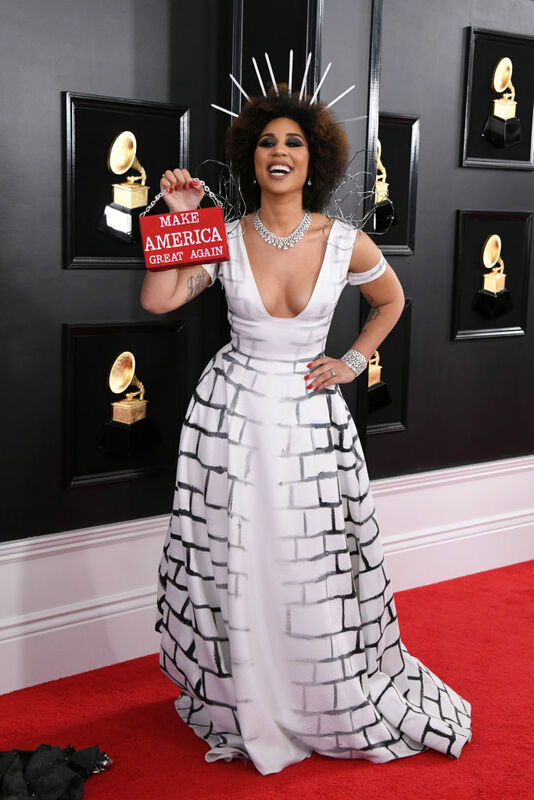 Apart from Villa, singer Ricky Rebel too decided to add some political color to the Grammys dressing up in a pro-Trump outfit. 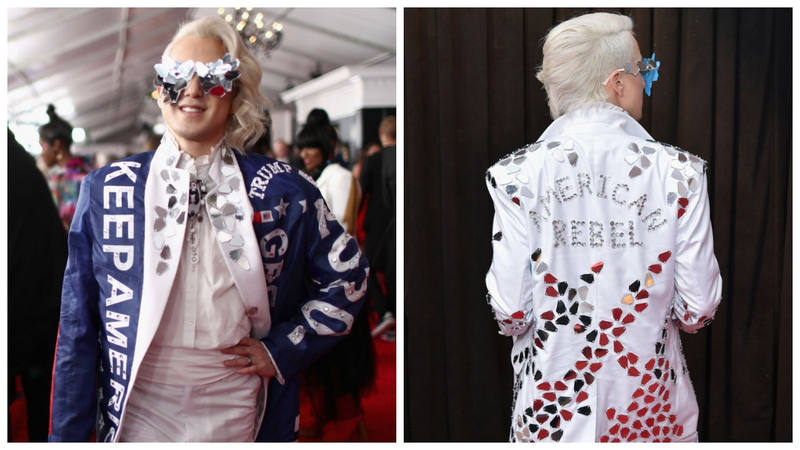 The glam rock artiste strode the red carpet in a blue jacket emblazoned with the words 'Keep America Great' and 'Trump 2020' over a white blouse, pants, and high-heeled knee-high boots. In his Instagram post on Sunday, he wrote, "I'm a reflection of the 60+ Americans that voted for Donald Trump." He hashtagged the post with "MAGA."